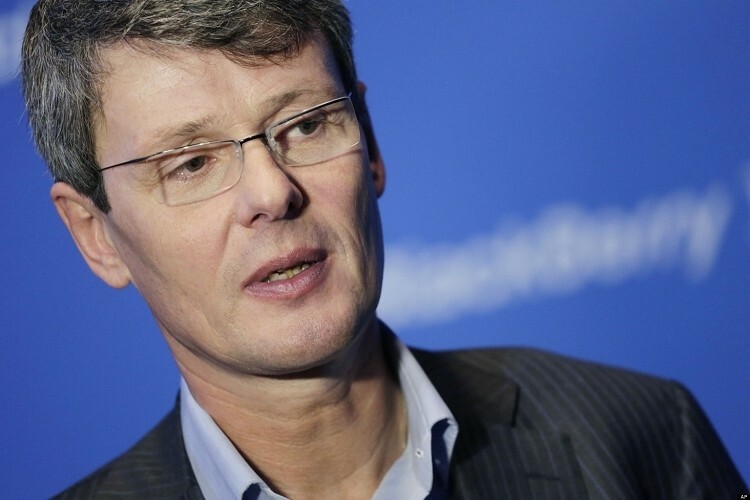 Either way you slice it, BlackBerry CEO Thorsten Heins stands to be a wealthy man should he get fired before or after a potential buyout. A recent proxy filing by BlackBerry dating back to May outlines how the situation would be handled in either event. Should BlackBerry ultimately be acquired by another company and the CEO is let go, he will be sent packing with $55.6 million from a combination of salary, incentives and equity. If shareholders decide at some point down the road not to sell yet want new leadership, the outgoing going chief would collect $22 million in payments. Those figures were based on BlackBerry’s stock price at the end of the fiscal fourth quarter. We’re told the plan was approved by shareholders during an annual meeting on July 9. Decisions involving Heins were made months ago but they’re now more pressing than ever. That’s because just a few days ago the company announced they have formed a special committee to examine strategic alternatives. The five-person committee which happens to include Heins will be tasked with reviewing possible joint ventures, partnerships, going private or selling the company outright to the highest bidder. What’s interesting is the fact that Toronto businessman and BlackBerry’s largest shareholder, Prem Watsa, is stepping down from the board. Could he be destined for a larger role at the company in the near future? Share value in BlackBerry jumped nearly 20 percent since the announcement on Monday. The stock has dropped nearly four percent today, however, currently sitting at $10.54 per share.